yay first !lol is the title a parody of 'linkin' park' ? Nice work on the art, I laughed when I first saw it, but it looks great! The name is clever but the pic itself is a stretch compared to the others you've done. Linkin Park has six members. Good non the less. haha! Thank you for this! I couldn't help but crack up! Great job! 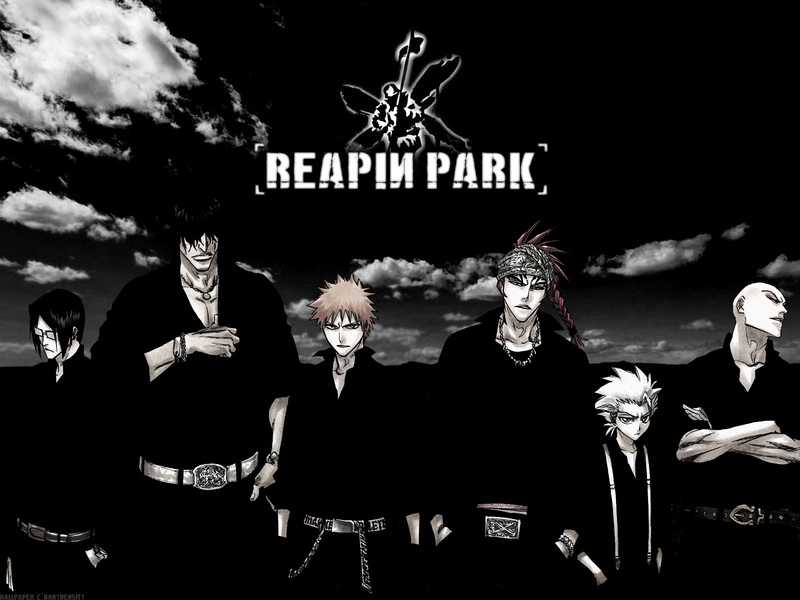 This is the best group wall I've seen featuring Renji... in most of the others he's pickin his ear, GROSS! Thanks for making one that looks awesome! niceeeeeee~~!love this pic so much!thanks for sharing! Linkin park! my first favorite band! i like this artwork.. REAPIN PARK! very nice!